Gmail unveiled a new feature this week that aims to prevent e-mail hacking. (Ars Technica) -- Google has added an additional security measure to Gmail that can help alert you to hackers potentially hijacking your e-mail account and using it for nefarious ends. Augmenting a previous enhancement that allows you to track your logins from various IP addresses, Gmail will attempt to resolve the IP address to a geographic location. If recent logins happen from disparate areas within a short timeframe, a prominent red banner will be displayed in Gmail's Web interface. You can then check the details of the login attempts to either verify them as accurate -- say, in the event of travel -- or to catch them as a legitimate hack. Google then offers a link to change your password on the spot. 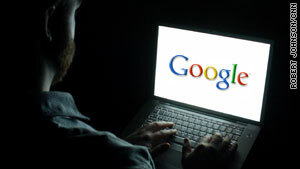 Pavni Diwanji, engineering director at Google, detailed a common scam that hackers use after breaking in to a Gmail account. He said that he had recently gotten an e-mail from a friend traveling in London, saying that he lost his wallet and in need of some emergency cash. Turns out, someone had hijacked his account and tried to use it to score a quick buck. "By reading his email, the scammer had figured out my friend's whereabouts and was e-mailing all of his contacts," Diwanji said. The alert isn't meant to be a replacement for standard security practices, but it can notify you when someone accesses your account without your knowledge. The service now works for individual Gmail users, but will be rolled out to Google Apps customers in the near future.